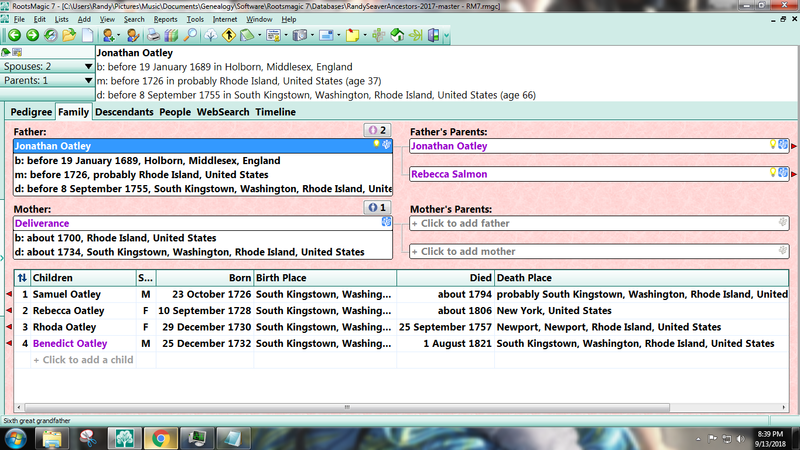 Deliverance (--?--) Oatley (about 1700 - about 1733) is #369 on my Ahnentafel List, my 6th great-grandmother, who married #368 Jonathan Oatley (1689-1755) in about 1726 in Rhode Island. * their son, #184 Benedict Oatley (1732-1821) who married #185 Elizabeth Ladd (1735-1814) in 1755. 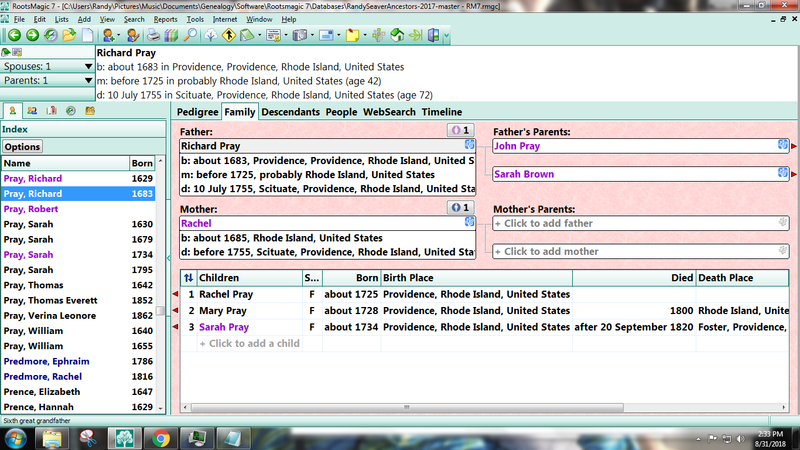 * their son #92 Joseph Oatley (1756 - 1815) who married #93 Mary Hazard (1765-1857) in 1781. * their son #46 Jonathan Oatley (1791-1872), who married #47 Amy Champlin (1798-1865) in 1813.
known. See the Research Notes below. Deliverance may have been born between 1685 and 1710, perhaps in England or in New England. Cleveland wrote his will in 1744. (1689-1755) of South Kingstown, Rhode Island. 1. Harry J. Oatley, The Oatley Family in America and Their Descendants (Providence, R.I. : The Oatley Family Association, 1970), Pages 19-25, Jonathan Oatley sketch.